A SUSPECTED suicide bomber, who made an abortive attempt to target a CRPF convoy on the Jammu-Srinagar National Highway two days ago, was arrested near the Jawahar Tunnel on Monday, police said. Owais Amin Rather, a resident of Wail village of Shopian district, was arrested by a joint search party of police and the Army while he was trying to flee towards the Valley aboard a passenger vehicle, Sajad Sarwar, sub-divisional police officer (SDPO), Banihal told ‘PTI’. A CRPF vehicle had suffered slight damage when a Santro car went up in flames after an explosion at Tethar village, 7 kms from Banihal, shortly after a Jammu-bound convoy crossed the Jawahar Tunnel on Saturday. The driver of the private vehicle managed to flee before the fire engulfed the vehicle and turned it into a mangled heap of iron. The officer said Rather was booked under various sections of Ranbir Penal Code (RPC), including 307 (attempt to murder), 120B (criminal conspiracy), 121 (waging or attempting to wage war, or abetting waging of war), 121A (conspiracy to commit offences punishable by section 121) and 124 (sedition), besides under the Explosive Substances Act and the Unlawful Activities Act. “He was produced before the Judicial Magistrate (first class) Banihal on Monday and sent to eight days police remand,” Sarwar said. The officer said he was identified from the description gathered during investigation, including CCTV footage and the bruises which he had suffered on his face and other body parts while jumping out of the vehicle. Sarwar said the accused confessed to his involvement in the crime. “The accused crossed the Jawahar Tunnel into this side in pursuit of the target after failing in his attempt in the Valley and finally tried to blow up the vehicle on this side,” the Deputy Superintendent-rank level officer said. An inspection of the charred vehicle and surrounding areas had led to the recovery of an LPG cylinder, jerrycan filled with petrol, gelatin stick, urea and sulphur -- material which is used for fabricating Improvised Explosive Devices (IED), police said. 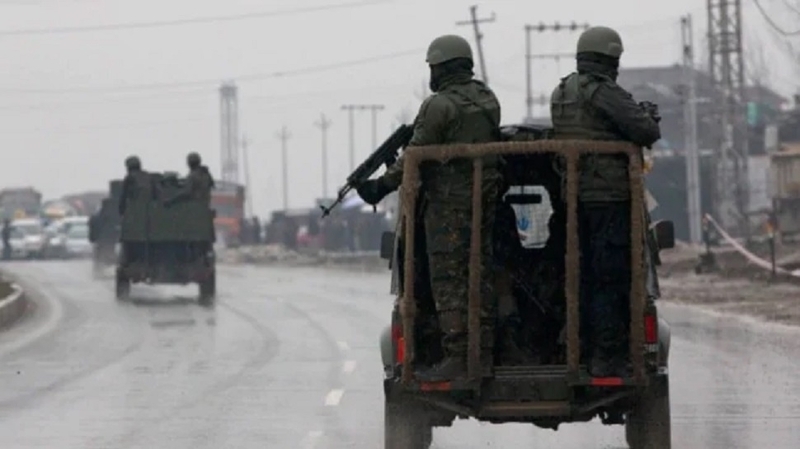 A letter recovered from the scene had identified the driver as Hizbul Mujahideen operative Owais Amin, who mentioned his intention to carry out a February 14 Pulwama type terror attack. The attack had left 40 CRPF personnel dead after a Jaish-e-Mohammad (JeM) terrorist drove an explosive-laden vehicle and targeted the security personnel. Forensic experts and a team of the National Investigation Agency (NIA) visited Banihal on the same day of the incident and inspected the scene.